Hajiya Hauwa Usman, a Nutritionist with the Agency made the disclosure in Zaria while presenting an overview of nutrition situation in the state at a workshop for journalists, organised by Kaduna State Emergency Nutrition Action Plan (KADENAP). She however said 11, 324 of the severe acute malnutrition cases were cured, while 169 of the victims died. According to her, 50 percent of under-5 deaths recorded in the state was due to malnutrition. Usman said that the agency in collaboration with stakeholders have been sensitising residents on good nutrition habits to stem the condition. She pointed out that only 16% of children aged between 6 to 23 months were fed appropriately in the state, while 11.7 percent are wasted from acute under nutrition. She disclosed that KADENAP in collaboration with UNICEF have spent about N750 million on the purchase of Ready to Use Therapeutic Food (RTUF) to treat malnutrition. 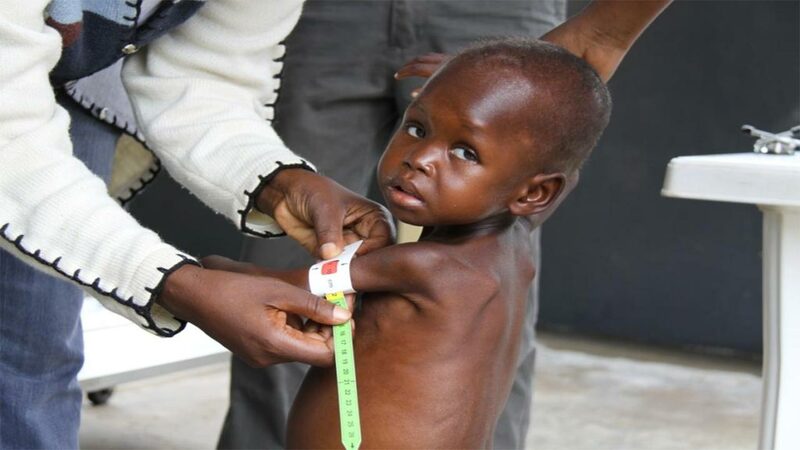 Meanwhile, during a field trip to Kugu Primary Health Centre in Zaria by the workshop participants, the Nutrition Focal Officer, Lawal Jibril said over 4,000 children suffering from severe acute malnutrition were admitted since 2016. He explained that 14-18 sachets of RTUF with supporting drugs are usually administered on patients within eight weeks for effective recovery. 27 PHCs in Igabi, Zaria, Kachia and Kaduna North and Kaduna South local governments provide treatment to children with severe acute malnutrition.